New Seasons’ seared hanger steak with shiitake mushrooms and parsnip leek hash is a best seller among the retailer’s meal kits this season. At New Seasons, there’s a meal kit for all seasons. 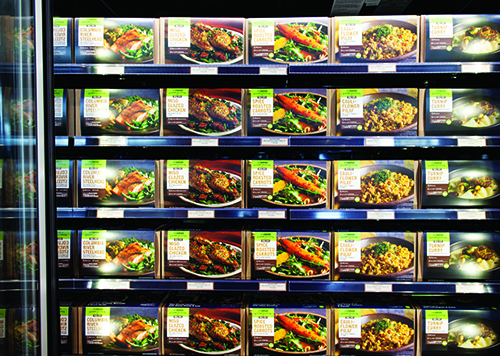 In May, New Seasons Market introduced its prepackaged meal kits with fresh and healthy premeasured ingredients. From vegetarian dishes such as cauliflower pilaf, spice roasted carrots and turnip curry, to heartier entrees such as miso glazed chicken or Columbia River steelhead, the meals come in vegan, gluten-free and organic options, perfect as standalone meals, appetizers or sides for hosting guests. The meal kits lean into New Seasons Market’s customers’ love for high-quality local and organic ingredients, with flavors intended to help teach customers about new vegetables and spices. The recipes were developed specifically for New Seasons Market by renowned chef and double Michelin star holder Matt Lightner, former executive chef of Atera in New York City. Lightner created five recipes each for summer and fall with elevated flavors, featuring fresh, healthy ingredients from local farmers and producers. The recipes are rooted heavily in the local Pacific Northwest with global inspiration to capitalize on the popularity and the abundance of the region while introducing customers to new flavors. Meals come in vegetarian, vegan, gluten-free and organic options for specialty diets, with new seasonal recipes rolling out this fall. New Seasons’ meal kit recipes are rooted heavily in the local Pacific Northwest while introducing customers to new flavors. New Seasons said the prepackaged meal kits serve two to four people and come with user-friendly instructions for preparation in 20 to 45 minutes. The initial rollout included meals such as Columbia River steelhead trout with new potatoes, broccolini and bonito butter; miso-glazed chicken with sweet potato and kale; spice-roasted carrots with tahini dressing; cauliflower pilaf with fresh turmeric and fennel; and turnip curry with lemongrass and dates. Following the success of those summer seasonal meal kits, New Seasons took note of the overwhelmingly positive feedback from customers and staff, and focused its fall recipes on true entrees with ingredients from local vendors. The seared hanger steak with shiitake mushrooms and parsnip leek hash has been a clear best seller this season, according to the company, with antibiotic- and hormone-free vegetarian-fed beef from Oregon Country Beef. Other menu items in the fall lineup include vegetarian dishes such as fresh linguine or blue corn tostadas and heartier meals such as garlic sesame chicken or miso maple cod.